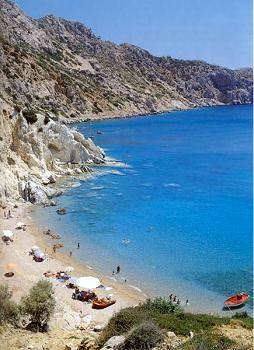 Not far from Pirgi, almost nine kilometers far from the village and next to Emborio beach, is a shore named Vroulidia. The beach is located in the southernmost edge of the island. Sandy and clean, isolated but cosmopolitan! The light blue, crystal -clear waters make the scenery seems exotic and paradisiacal !